This models comes as a replacement for dated Arnage, Brooklands and Azure models. It is made on Mulsanne platform, with few other concept vehicles coming out before we even knew that Bentley is preparing something like this. 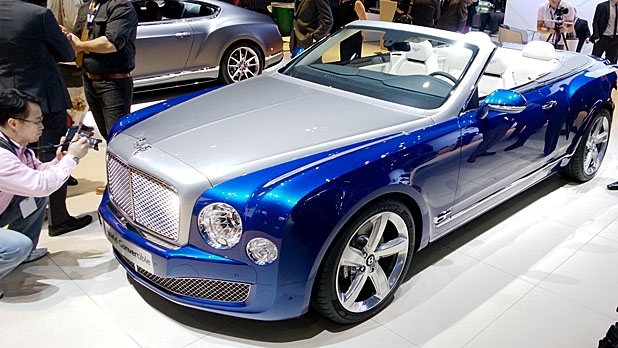 Before Grand Convertible we saw Mulsanne Vision Concept and heard a lot of rumors about new Brooklands and Azure vehicles, but this brand new shiny convertible became reality since last week’s LA Auto Show and all the Bentley enthusiasts are happy about it. Although this still is just a concept version. Bentley CEO Wolfgang Durheimer said that the company is waiting for the public reaction on this model, and that this car signifies Bentley’s intentions for the future. This is a very stylish vehicle, it comes with “liquid metal” hood, windshield frame, and burl walnut colored veneer. Its design made for the LA Auto Show looks similar to the styling we saw on RR Phantom Drophead Coupe, and it is definitely the winning combination, since both vehicles were the stars of Auto Shows on which they debuted. Debut model was made in Sequin Blue color, which was created by the single sequin from customer’s couture gown. Wheels looks incredibly shinny and they came with a hand finish. 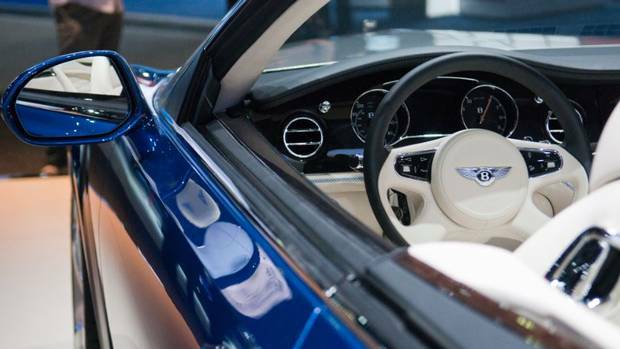 When it comes to interior Bentley Grand Convertible is as luxurious as possible. Its leather upholstery is not just that, it is made out of 14 naturally tanned leather hides merged together with some high quality stitching. Sequin blue color is also present inside the cabin, together with chrome bits on the rear tonneau, which looks incredible and it comes with a largest piece of wood veneer, that was ever seen in a Bentley vehicle. Performance section is also made for excellence, with 6,75 liter V8 engine, same one that comes with flagship Bentley vehicle made on Mulsanne platform. This beast is rated at 530 horsepower and 811 pound feet of torque. 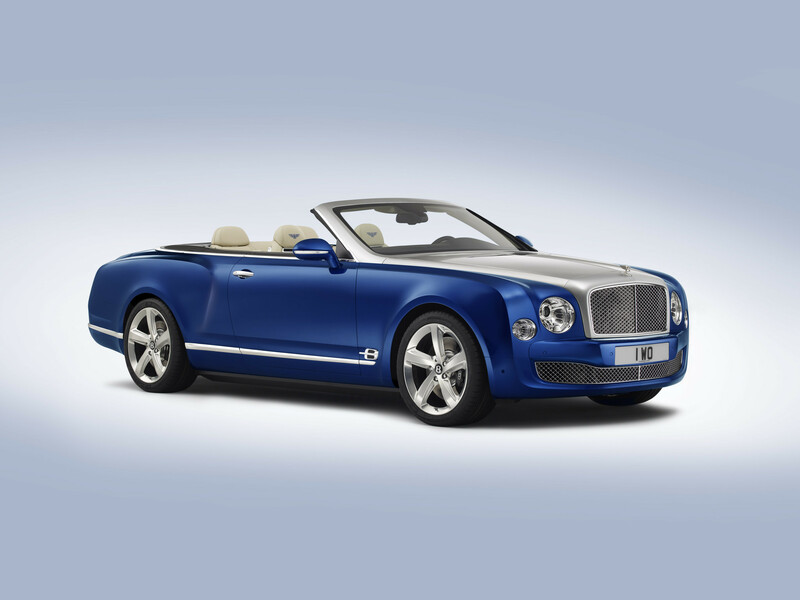 Bentley Grand Convertible is also equipped with directional wheels, that are only seen on Mulsanne Speed model.